Each group has their own individual light sticks that fans can buy and bring to concerts to wave in synchronization with the crowd. Even more so, fans will go above and beyond to create colorful light stick oceans as a gesture towards the group or artist's hard work. Rarely so fandoms of other music groups execute this with such finesse! In Western countries, fans do give their favorite artists gifts for their birthdays, but when have you ever seen fansites and super stans come together to give high-end designer gifts to their favorite idols? Pictured above is a birthday gift to Park Chanyeol of EXO. Fan chants are the loudest and (second to light stick oceans) most choreographed thing that fans can do at live shows. 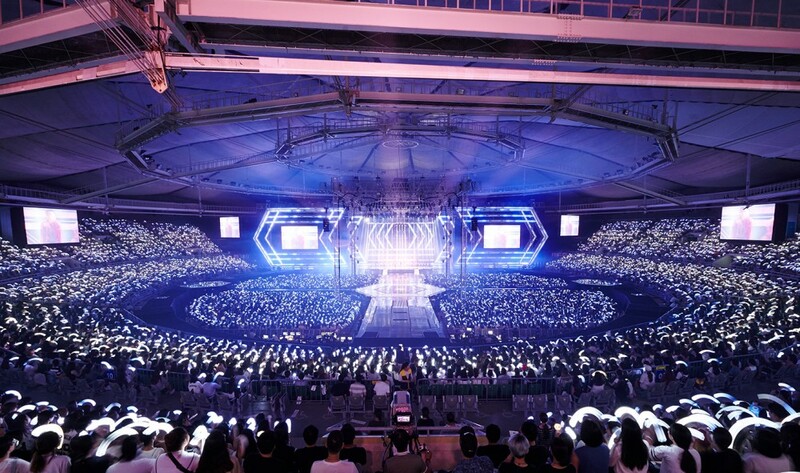 K-Pop fans practice being in sync when the concert and live performances come around as a way to cheer on and motivate their favorite groups. The epic pieces that surround a group or artist's comeback is what gives K-Pop fans energy. Teasers images, videos, hints, puzzles, messages, and more tantalize the K-Pop fan into falling victim into another comeback effort. Plus, once the artist comes back, there's a whole flurry of media to soak in as they do variety shows, comeback performances, special videos, tweets, and more! K-Pop fans are known to be patient and known to persevere. That's why fans don't let time differences stop them from watching their favorite artists perform. Inkigayo, for example, plays at a prime time hour in Korea, but requires a US fan to get up in the middle of the AMs to catch it. Dedication! These are just five things that make our fandom awesome, but what is your favorite aspect of the K-Pop fandom that sets it apart from the rest? Comment below and discuss with the rest of the AKP community.